Well I had planned on tackling this topic head-on. Fox squirrels can be hooligans when it comes to bird feeders. They eat bird seed and bird feeders. I can’t stand them. I have one in my bathroom right now. That’s right. 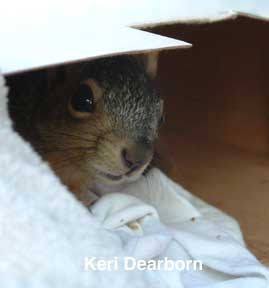 A baby fox squirrel is sleeping on a heating pad in a big box in my bathroom. 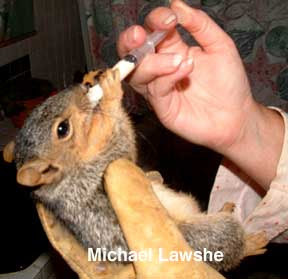 Fox squirrels are an introduced species in the Los Angeles area. Their territory is expanding; they are smart, adaptable and prolific. They are not a species I support protecting or feeding, at least not here. They will prey on bird eggs and they drive off native ground squirrels. Usually, I try to let nature work. I cheer when the red-tailed hawk plucks a fox squirrel off the neighbor’s roof for dinner. When I first saw the baby squirrel on Saturday, I knew it was much younger than any I had seen on the ground before. But it seemed to be able and scavenging for food. I warned the dog off, and let the tike hunker down for the night in the sword fern. Yesterday, Inali found it again, still in the fern. Again, it seemed to be all right. We tried to catch it, but it was able to avoid us. Nature is the best mother, so we set out some milk soaked bread, but let the little one go its way. This morning it was across the street. Last night, it didn’t sleep in the fern protected from the evening chill. This morning, the construction crew at the neighbor’s was well meaning but frightening to a teeny squirrel. Where do the neighbors bring the injured, the strange and the lost? Here. So now I have a baby squirrel tucked into warm rags. Now that I know it is going to survive, I’m off to get formula for it. Yes, I am raising the enemy. But it is awfully cute. 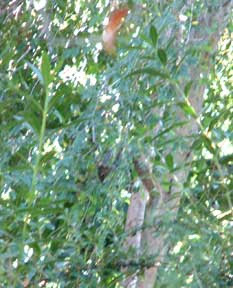 When I first looked around to see which birds were naturally spending time in our yard, I was dazzled by hummingbirds. Tiny, but tenacious, hummingbirds were the first avian neighbors with which I established a relationship. I’ve used all kinds of hummingbird feeders. The flat saucer-type feeders are best for meeting the SES –Simple, Easy, Sturdy – requirements. They are Simple – there are few parts. They are Easy – cleaning doesn’t require bottle brushes and many can go into the dishwasher. They are Sturdy – quality models are made of durable plastic that stands up to UV and heavy use. This one has been outside everyday for three years. The model I like has a perch all the way around and a water well at the center that deters ants. Because the nectar is in the bottom of the saucer, these feeders seldom drip, even in a strong wind. 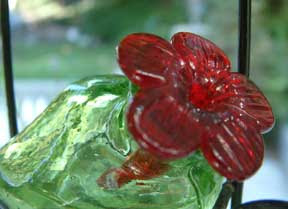 The simplest versions are red in color so they attract hummingbird attention. You DO NOT need to put red coloring into hummingbird nectar. The birds are attracted to the feeder, not the liquid inside. Red coloring can be unhealthy for hummingbirds. Hummingbirds are smart. Their brains have evolved to store information regarding hundreds of food locations. They know which flowers are open at which times of the day. They know when they last visited a flower and how long it will take that flower to regenerate more nectar. If you have reliable, fresh food to offer, migrating hummers will remember your location from year to year. 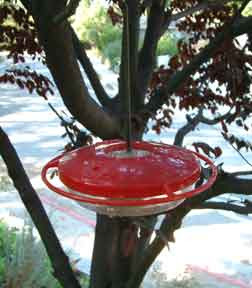 One of the primary issues with hummingbird nectar is keeping feeders clean and nectar fresh. Even if the feeder is not empty, it should be cleaned and refilled with new nectar every five days. Especially in warm climates, sugary nectar can ferment and mold in a few days. You wouldn’t want to pick up a can of soda that had been sitting open for a week and take a drink, neither does that beautiful hummingbird. Some locations are fortunate to have so many hummingbirds that a large feeder can be drained of food in a day, but that isn’t the case for most of us. Smaller feeders allow you to keep your nectar fresh without feeling like you are wasting a lot. Some people swear by the classic glass bottle feeder with a red, plastic flower base. I had one for years. 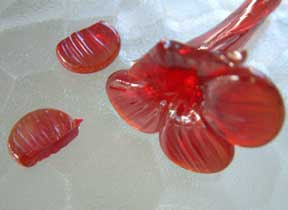 While they are great for attracting hummingbirds, they have lots of parts which can fail. They are difficult to keep clean. 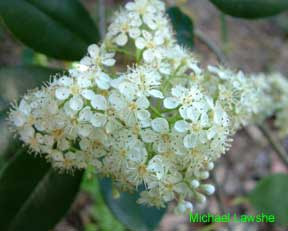 In a wind, they often drip attracting ants and, despite the “bee guards,” it is hard to keep bees from being attracted. Those pretty glass bottles with rubber stoppers can be difficult to clean and are hard to maintain a good seal. If nectar drips, it will attract insects. I have used these single vial feeders successfully with reluctant juvenile hummers that needed to learn to use a feeder for food. The small quantity of food in the vial however allows it to heat up faster and therefore to go bad faster. 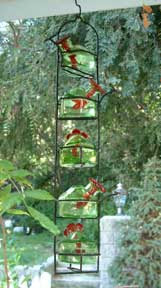 Glass vials can also be too long for hummingbirds to reach the food, once it is half way gone. They are time consuming to clean and need to be refilled frequently. Some hummingbird feeders are stunning works of art. I’m not saying you shouldn’t indulge yourself in one of these beauties, but I would discourage it until you have established your yard as a hummingbird site. Do I have one? Yes. Do the hummingbirds come to it? Yes, but not as many as come to the SES feeder. Is it harder to clean? Yes, and even though I am very careful I have broken parts of it and had to replace them. I readily admit that I bought this feeder for me. It is beautiful in the yard. 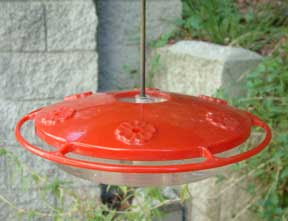 Start with a feeder that has color red on, at least, the area where the hummingbird is supposed to drink the nectar. NO coloring, keep it clear and pure. NO sugar substitutes. YES, you can make a larger batch and keep it in the refrigerator. Store in glass containers, not plastic. Now is the time to attract hummingbirds migrating south. Put out that Feeder. I've worked in a wildlife habitat store and offered food to backyard birds for over 10 years. How do I pick a bird feeder? I follow one simple rule - SES. Once you start to look for a bird feeder keep this rule in mind. No matter what kind of food you are using or bird you are trying to attract, you will be more successful if you follow SES. SIMPLE - The birds do not care how much you spend on a feeder. They do not care if the feeder is handmade and decorated with copper filigree. They do not care if the glass was hand blown in Spain. Remember what the birds are interested in, eating. Anti-squirrel action may entertain you, but if it makes it harder for the birds to eat, it isn’t a plus. Birds want simple access to food. 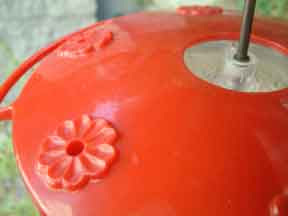 Some decorative bird feeders are works of art, but save the art for after you are established and know your clientele. SIMPLE feeders have fewer moving parts and less to break. 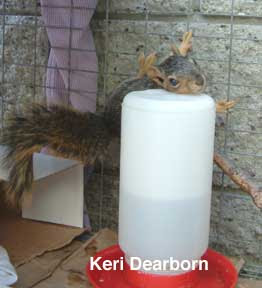 EASY - Refilling the feeder with food and cleaning the feeder should be EASY. Everyone’s definition of easy is different, but be honest with yourself about what you are willing to do. If it is difficult or time consuming, you won’t do it. Like any food supplier, you must be consistent. If there is no food or the food is spoiled, you will be out of business. Look for a bird feeder that is easy to open, easy to fill and easy to take apart and clean. One thing I like about quality tube feeders is they are easy to take apart and scrub. “Do I have to clean my bird feeder?” Afraid so. Just like any restaurant table, the more patrons, the more you will have to clean it. Soap and water is the easiest way to clean. If your feeder won’t stand up to soap and water, reconsider. STURDY - A bird feeder should be sturdy. If parts are breaking off, you will avoid filling it. Sharp edges or broken bits may endanger feeding birds. Determine which materials are most STURDY for your location. Wood may last forever in a dry mild climate or waste away to a soggy mess in a rainy area. In the Southwest, ultraviolet rays can degrade plastic in a single summer. More expense feeders tend to use UV resistant plastics. Cheap metal can fall ill to rust, but steel bibs on plastic openings can provide protection and durability. As you weigh one bird feeder against another, remember SES - Simple, Easy, Sturdy. If the blown glass feeder is calling you but doesn’t pass the SES test, think again. Where do you begin if you want to feed birds in your backyard? Your first step is to get to know the place where you live. Like any restaurant owner, you need to know who lives in your neighborhood. That beautiful birding book you bought might have all kinds of suggestions on how to feed Northern cardinals and Eastern blue jays but if you live in California it's like putting out Chinese food for Mexican clientele. For example, you would never find my friend the California towhee in most books on bird feeding. He's only found in California. But his habit of rustling through the underbrush looking for seeds and insects, were good clues that he would be a regular both beneath and at my feeder. Unfortunately, most birding books and bird feeding guides are written with a focus on the east coast of the Untied States or even Britain. It isn’t a conspiracy, its is just that the U.S.’s best school of ornithology is Cornell University in New York, and the most active birdwatching groups are in the American northeast and Britain. I think it is time the rest of us, stepped up and spoke out for our birds. Have you seen any birds in your yard or neighborhood? Yes, crows and pigeons do count, they are birds and even most pigeons (also known as rock doves) are wild. If you see these birds, there probably are other birds in your neighborhood as well. Morning or evening offer the best time to observe birds. Spend 20-30 minutes out in your yard just watching and listening. See who is already visiting that you might not be aware of. Take a walk and keep your eyes open for birds sitting on wires, drinking from puddles, or searching for food. If you don’t see any birds, ask yourself why. 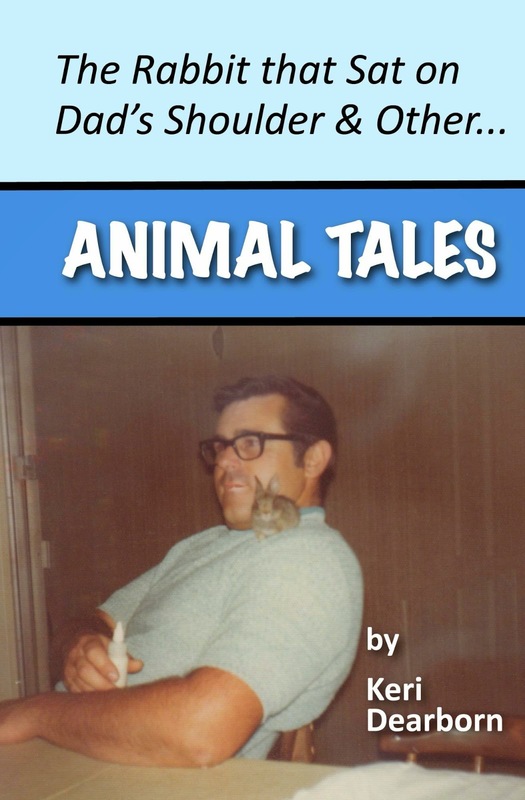 When I lived in Van Nuys, California, our neighbors fed 30-40 feral cats. Wild birds were few and far between. Not hearing bird song in the morning made me feel like we lived in a dead zone. If you don’t see any birds, be a sleuth and search for answers. If the local cat population is large, this will affect where and how you might feed birds. Where were the birds you saw and what were they doing? You may not be able to identify the birds you see just yet, but you can take note of where you saw them and what they were doing. For example: Birds on the ground pecking at dirt. A single bird in a tree eating fruit. A bird using its beak to probe into wet grass. A small bird clinging to a dried thistle. The easiest birds to feed are those that feast on seeds. 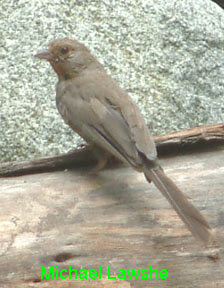 Birds that appear to be pecking the ground and those that shuffle under shrubs (like the California towhee, above) are most likely seed eaters. These birds tend to be medium-sized and able to eat most wild bird seed. Birds that are small enough to cling to a plant stem while nipping at a seed cluster, may prefer smaller-sized seed. If you had to guess, about the kind of bird, what would you say? While you may not be able to tell a mourning dove from a band-tailed pigeon, most people can tell a dove from a hummingbird. Take a guess as the kind of birds you see. Whatever you see the most of will be the best group to start offering food to first. If you can identify just one of the most frequently spotted species, you will greatly increase your bird feeding success. Why should you feed birds or provide habitat? A sharp-shinned hawk just dropped in to get a drink from the bird bath, but more on that later. A red-shouldered hawk rises from the ground with a large fence lizard clutched in its talons. This isn’t a scene from a nature documentary, this is the view from my kitchen. I don’t live in rural Montana, but rather in the suburbs of Los Angeles, two blocks from one of the busiest freeways in North America, if not the world. How am I so lucky to see wildlife dramas on a daily basis? 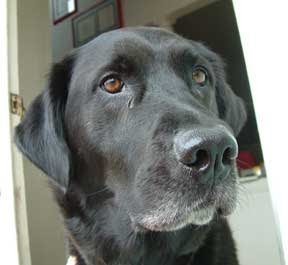 One main reason – ten years ago, I put out a bird feeder. I know what you're thinking. “Wait a minute, hawks don’t come to bird feeders and neither do western fence lizards.” And you would be absolutely right, but putting out a bird feeder influenced our entire outdoor living space. It attracted birds to the yard in a visible way so that I could begin to learn the local bird species. New knowledge about what different birds were eating encouraged me to reconsider the plants I planted in the yard. 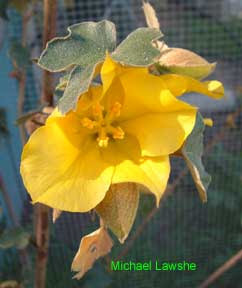 I began to relandscape with native plant species to attract birds and butterflies. We stopped using all forms of toxic pesticides and herbicides in and around our house. Native insects reduced pest insects, lizards and bats moved in to eat the insects. We added a water feature to provide dependable water to wildlife during drought seasons, a greater variety of birds, including hawks, and rabbits arrived. Putting out a bird feeder was the beginning of creating a habitat in my yard that supports a wide range of biodiversity. 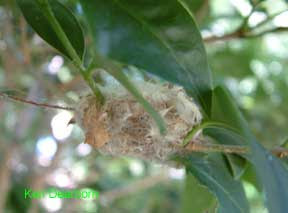 Seven species of birds now nest here - see our hummingbird babies. Two species of lizards reproduce in our garden; western fence lizard. Check out some of the creatures that share our suburban space - Backyard Biodiversity Project. As I look out my window over the rooftops of track homes, past the Ventura Freeway and the growing amount of pavement and concrete, I take heart in knowing that my yard is an oasis for wild creatures. As cities expand, wild habitat is lost. Birds and animals lose important living, hunting and breeding territory. But it doesn’t have to be that way. You can make a difference. Put out a bird feeder. Begin offering a safe place for wild birds to find dependable food. How do you decide on a bird feeder? What food should you use? Each week AnimalBytes will take on an elemental question of how to start and be successful in creating habitat. We’ll start with bird-feeder basics. Around the globe, wild animals are facing survival challenges as human populations expand and climate change alters weather patterns. If you make your yard, patio or even balcony a safe habitat, together we can change the world for the better. I don't usually post other people's photos, but in this case I am hoping to save a few lives. Ask yourself, What is the most dangerous element of your life? My answer is Ignorance and Fear - the IF factor. What IF it bites me? What IF it's an animal carrying a disease? What IF it is a poisonous snake? Ignorance and Fear led to the death of this snake. The neighbor of a friend, killed this gopher snake and then asked her if it was dangerous? They had a perfect view of the tail. Do you see a rattle? This is a native gopher snake. This species is vital for controlling rodent populations. Ironically, my friend is currently having to hire an exterminator to deal with a rat problem. This snake was attracted to the large number of rats in the neighborhood. It was trying to reduce the number of rats by eating them. 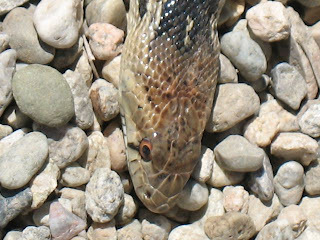 Gopher snakes are active during the day which makes them vulnerable to people spotting them. Their coloration is similar to a Southern Pacific rattlesnake, because both species are trying to blend in with our native chaparral. However, take a good look at this snake. It has a narrow head, not the triangular head of a rattlesnake. It has a fairly thin, long body for moving quickly. Rattlesnakes have typically stout bodies and move more slowly. They are ambush hunters who wait for food to come their way. 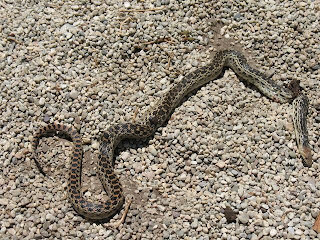 The gopher snake has a checkerboard pattern on its skin. Local rattlesnakes have a diamond pattern. Gopher snakes DO NOT have rattles. The ONLY venomous or poisonous snakes that are naturally found in the Los Angeles area are rattlesnakes. A gopher snake can sometimes make a rattling sound by rapidly vibrating its tail against dry grass or leaves. It does this to protect itself. 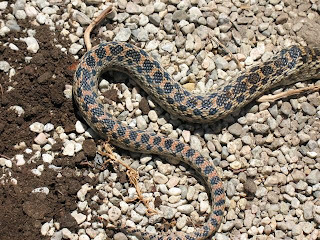 The gopher snake has evolved to occasionally make a rattling sound so that predators will think it is a rattlesnake and leave it alone. Unfortunately, people are the most dangerous animals on the planet. We kill things then try to understand what they are. The worst part of this story is that not only did these uninformed people kill a beneficial snake, by doing so, they now have made their property more attractive to rattlesnakes. Gopher snakes are efficient rodent predators. With the gopher snake gone, a rattlesnake has a better opportunity to move in an try to eat the neighborhood rats. Gopher snakes are YOUR FRIENDS. 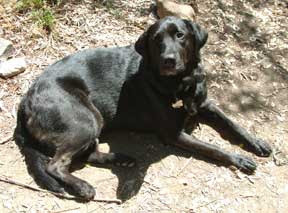 They eat rodents and make your property less attractive to rattlesnakes. Honor them. Respect them. Don't play the IF game and kill them. Change comes in red paint. We awoke this morning to the sound of trucks and drilling into concrete. City workers were putting in three-way stop signs at our "T" intersection. Traffic at our blind three-way corner has always been bad. Will these stop signs help? I hope so. Will there be noticeable changes in the traffic pattern? Will cars slowing to a stop right in front of our house have an effect on the wild things that frequent the yard? I don't know. It will be interesting to watch. Spring is definitely here. The ornamental plum tree has burst into bloom and the house finches are munching on the flowers even while the workers paint the curb scarlet. 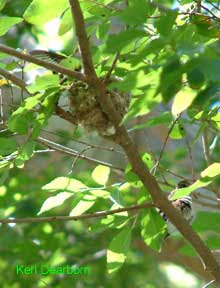 There are two hummingbird nests in the yard. 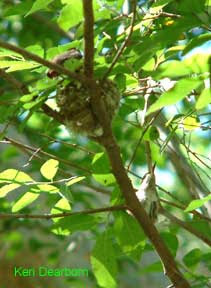 The Allen's hummingbird nest has two eggs, the other should have eggs soon. Pictures? I'll have to take a few. Happy Spring. This weekend is the Great Backyard Bird Count ! Across North America, citizens are playing a vital role for science by counting wild birds like this California towhee. Bird counts turned in to the Great Backyard Bird Count website will create a snapshot of bird populations across the continent. 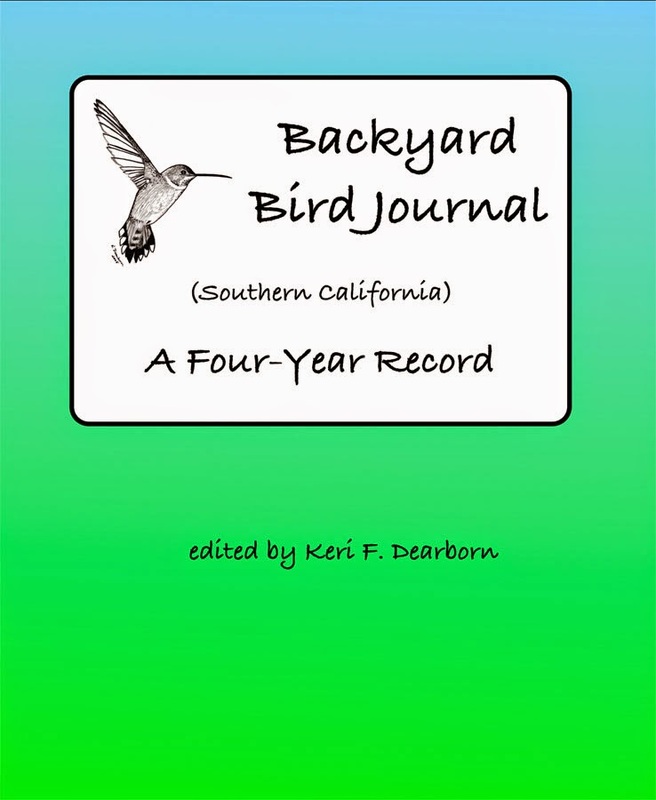 The Great Backyard Bird Count continues Feb. 15 -18. You can participate by counting birds in your backyard, on a walk through your neighborhood, in a local park or wildlife area. 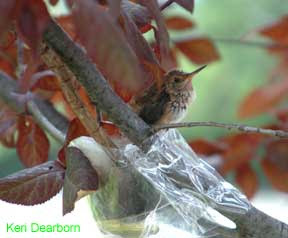 See the website http://www.birdsource.org/gbbc/ for easy instructions. Be a Citizen Scientist and help count birds in your area. When and where are birds nesting? If you have a nest that you are watching, NestWatch wants YOU ! 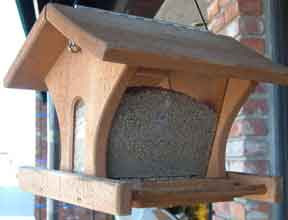 You can enter your information about a bird nest at www.nestwatch.org. This beautiful February morning dawned with clear blue skies, warm sun filtering through leafless elm branches and a variety of birds chatting at the bird feeder. I took an hour this morning to prune back some shrubs and reconnect with earth and reality. Too many hours have been spent lately sitting at my desk churning out words for the sake of academia. When Michael and I were done snipping and trimming, the lavatera and the Lady Banks rose were once again contained and no longer trying to engulf the bird feeders. The area was open and sunlight streamed in. The family of band-tailed pigeons were arriving in a second feeding wave. As we went into the house, the five large birds vocally jostled for the four positions at the feeder. Then suddenly birds exploded out of the yard, flying out over the house. Doves, finches, and band-tailed pigeons fanned out over the neighborhood with a Cooper’s hawk in quick pursuit. The Cooper’s hawk dove. It hit a bird a few feet from the neighbor’s house. There was a loud SMACK. Wings and feathers swirling in struggle. The hawk flew up into a sapling tree. The neighbor come running out of the house. The Cooper’s hawk retreated to the peak of the garage, watching anxiously. Tentatively, it flew up into a nearby tree. I watched this all from the window. When the neighbor started across the street toward our house, I knew that a Nature Intermediary was needed. The fleeing prey bird had hit the neighbors window. The hawk and its intended brunch had tussled, right in front of her. The injured prey had momentarily escaped and was cowering in her front yard. What the neighbor didn’t know, was the hawk was sitting just above us in the tree, frustrated. I explained to the startled human what had happened and knelt down to see the same young band-tailed pigeon that had been feasting in the backyard, pressed against the side of the house. There was blood in its beak, but it was able to fly a short distance. I took off my shirt , covered its head and scooped it up in my hands. This is the role I play for my neighbors, accessing the damage after a pet dog had grabbed a wild rabbit, cautioning about the timing of trimming a tree because of the red-shouldered hawk nest with hawklets, identifying native plants, and clarifying that the canine loping down the street is not a dog, but a coyote. Now I was pointing at the Cooper’s hawk and explaining that the hawks that circle over our little intersection aren’t someone’s pet birds, they are wild creatures hunting for food. As I look out at the houses of my immediate neighbors, the reality is, of the twelve adults in these six houses, only four of us grew up here in California–four are foreign born and four are from other parts of the United States. The picture of what California was before our population doubled and tripled, is a memory that resides in fewer and fewer of us all the time. And even many native Californians are removed from the place itself. Few truly notice that the hawk numbers have grown dramatically since the banning of DDT in the 1970s. I took the stunned, yearling band-tail pigeon, home. I found a quiet, familiar spot in the backyard, near the bird feeder where a half hour before she had stuffed herself with food. She was just starting to get her adult feathers. It was probably a combination of being weighed down with a full crop and molting some of her flight feathers that had made her just a bit more vulnerable than the other members of her family. There was a lively glint in her eyes and at first I thought my initial assessment had been wrong. Maybe she wasn’t as injured as I suspected. As we sat beneath the elm tree, I contemplated whether she might be able to sit on a tree branch. Then the glint of life fluttered. Breaths became short and shallow. The young flame of life tried to hold on, but quietly it faded. In a quiet, still moment the spark within the gray warm body went out. I held her until the warmth of her began to cool. This gentle piece of who I am, this calm peace with the earth; no good, no bad, just the cyclical nature of life. If everyone would just slow down, open their hearts and live such a moment, it would make us better members of the biosphere that is the earth. Life can be difficult, unpredictable and fleeting.